that zebra painting is incredible!? I am waiting on the big reveal. Based on what I see, it is going to be smashing! Lovely...would love to know who the zebra painting is by? 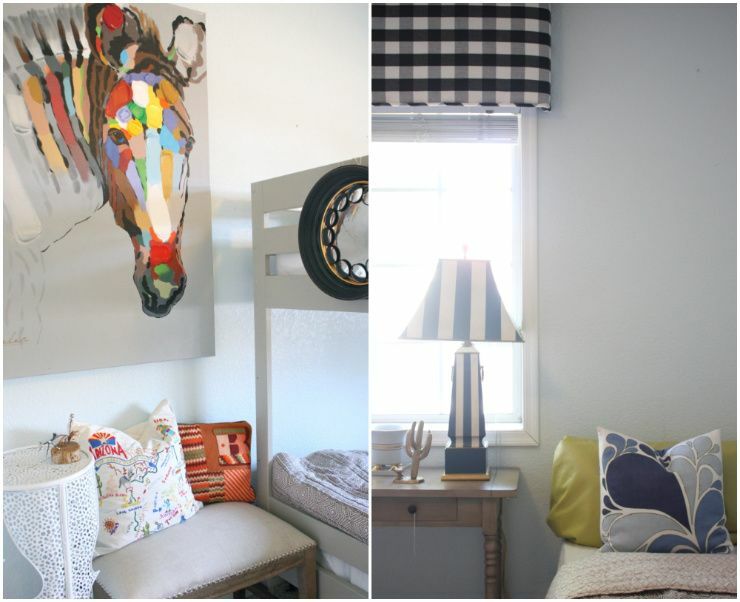 that zebra painting is unbelieveable! can't wait to see it all. sooo adorable! Can't wait to see the rest. I sent you a pic of the pillow btw :-) hugs!!! This sneak peek is oozing with goodness! Can't wait to see it all. looking good! Thrifting itch coming on!! Hi Kim..even though the piece is signed I can't seem to make out the name. I bought it at a retail shop and do not know anything about the artist. That zebra painting is fantastic. I love, love, LOVE the painting!! I love this sneak peek and love that I see some plaid on that cornice too. Looking forward to the reveal. I know three lucky boys.